Dennis Rodman is a lot of things, but remains a popular option for basketball collectors based on his productive NBA career. His eccentric personality and questionable decisions, along with his role on the Chicago Bulls, have resulted in increased exposure and a huge market for Dennis Rodman cards and memorabilia. 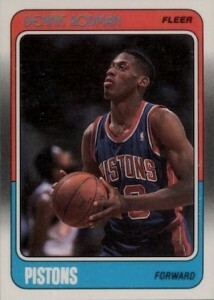 Shop for Dennis Rodman Cards on eBay. Dennis Rodman did not always carry the "bad boy" image that now defines him. Early in his career, Rodman was just a basketball player who played tough defense and had a knack for tracking rebounds. By the time he retired, a whole new person had emerged, with a multitude of hairstyles, piercings and bizarre clothing choices along the way. The two-time All-Star was a seven-time rebounding champion and was twice named the Defensive Player of the Year. Dennis Rodman was also an important contributor for five NBA title teams, including two consecutive wins with the Detroit Pistons and a three-peat with the Chicago Bulls. 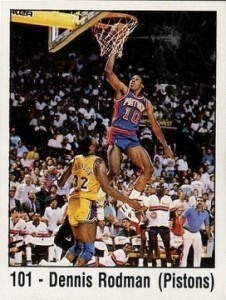 Although he was taken in the 1986 NBA Draft, Rodman did not grace his first card until 1988-89 Fleer. After that rookie card, Rodman would go on to be featured on many cards over the years and is a regular signer for current products. 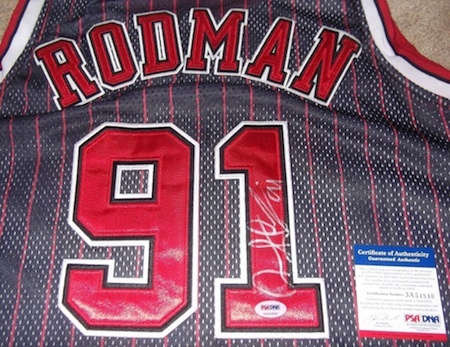 Dennis Rodman was inducted into the Basketball Hall of Fame in 2011 and that gave his signed memorabilia market a boost. 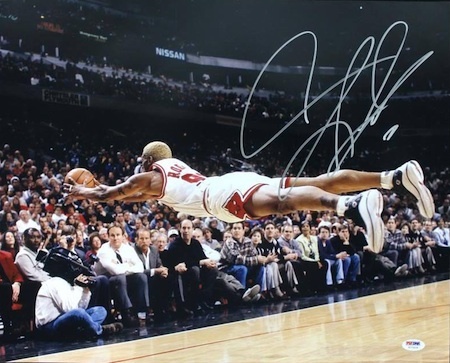 Rodman is regular at autograph signings and his signed gear is readily available. 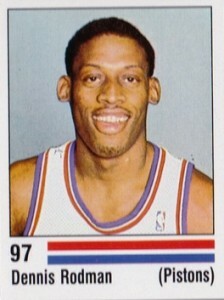 The only Dennis Rodman rookie card is found in 1988-89 Fleer. The low-key design and virtually unrecognizable image of a young Dennis Rodman both give the card a dated feel. Centering issues are a huge problem with this card, but even centered versions won't break the bank. 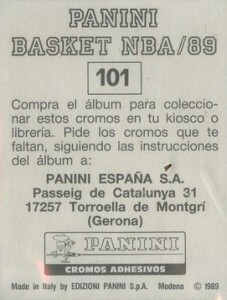 Although not generally viewed as a rookie card, Panini issued two Dennis Rodman sticker cards in their Spanish set that covered the 1988-89 season. The small cards check in at 2" x 2-5/8" and the card back is written entirely in Spanish. Dennis Rodman, 2017 Leaf (1990 Defensive Player of the Year), AUTOGRAPH!!! Below you will find an example of what Dennis Rodman's authentic signature looks like. This can be used as a first point of reference for determining the legitimacy of autograph memorabilia, but is not a substitute for having your items authenticated by a well-respected professional autograph authentication company. Reputable authentication companies include JSA, PSA, Panini Authentic and Mounted Memories, to name a few. 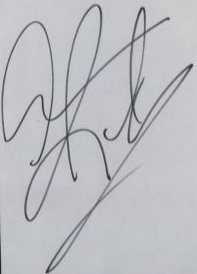 Dennis Rodman's signature has transformed greatly over the years and his current full signature is largely indecipherable. He occasionally signs just his initials (DR), especially on cards. The signature begins with a large "D" that resembles a lowercase "a" or @, with a line outward. From there, the signature continues with a large "R" and "d" that resembles a lowercase "l" and finishes with a flourish that underlines the signature.